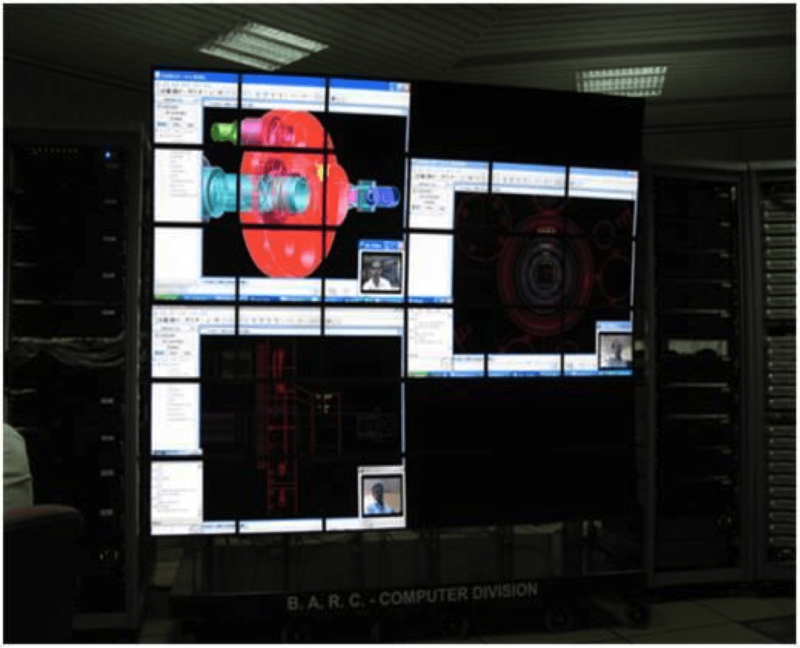 As a widespread organization with research establishments, production facilities and nuclear power plants in locations spread over the entire expanse of India, the Department of Atomic Energy (DAE) requires a robust communication fabric to enable seamless interaction and efficiency. By creating this powerful connection, an effective collaborative medium has been established, enabling interaction between different 40 different units of research and development, both nationally and internationally. The advantages are numerous. As an example, the network is used for collaborative design of fast breeder reactor technology (top image). Different groups of experts work together throughout the design process, which involves access to databases, computer-resources, high-end visualization tools and for carrying out multi-party video interactions; thereby putting heavy demands on network bandwidth. Also, NKN pro vides the high speed connectivity needed to access global mega science projects like the Large Hadron Collider, CERN, and the Synchrotron Facility at Grenoble, France. DAE scientists have used the Synchrotrons FIP beam line (French beam line for Investigation of Proteins, see image to the left), dedicated to crystallography of biological macromolecules. The FIP beam line is fully automated and has been enabled for remote access. 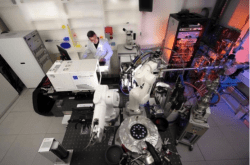 Under an on-going collaboration with Grenoble, scientists at Bhabha Atomic Research Centre, Mumbai, have collected single crystal X-ray diffraction data by remotely operating the FIP beam line. The research results can be used to determine the three dimensional structure of molecules by crystallography, enabling studies on structure-function relationships in biological macromolecules and the design of new drugs. Moreover, DAEs experts in High Energy Physics are participating in the analysis of data from big collider experiments at CERN. All in all, both for the DAE and for other Indian research institutes, the nation-wide infrastructure of the NKN provides the high connectivity and low latency needed to satisfy the rising demand for collaborative research with institutes both within and outside India.